Democratic state representatives say they are onboard with House Speaker Richard Corcoran's pledge to increase Florida's education funding for the 2017-2018 fiscal year. Senate President Joe Negron, R-Stuart, wished Chief Financial Officer the best as he prepares to leave his post in the Florida Cabinet for a new job at Florida Atlantic University. Republican Party of Florida chair Blaise Ingoglia praised President Donald Trump's nomination of Neil Gorsuch to the U.S. Supreme Court on Tuesday. Former Florida senator and current president of Florida State University John Thrasher said he's troubled by President Donald Trump's deportation order on refugees. Gov. 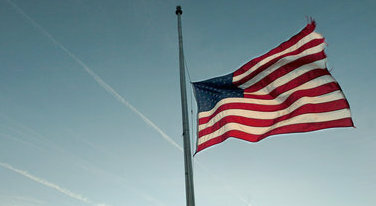 Rick Scott announced the flags in Florida will be held at half-staff to remember the victims of the Fort Lauderdale Airport shooting. Santa’s made his list and checked it twice, but nearly half of voters say President-elect Donald Trump will be receiving a lump of coal this year for Christmas. David Jolly is taking a more personal route in his latest ad for his re-election campaign in Florida's 13th Congressional District. Republican presidential candidate Donald Trump will be heading to Tallahassee for a rally next week. Republican vice presidential nominee Mike Pence will be heading to Florida later this week. The National Republican Congressional Committee is going after Joe Garcia in a new series of attack ads hitting the web and radio airwaves Wednesday.